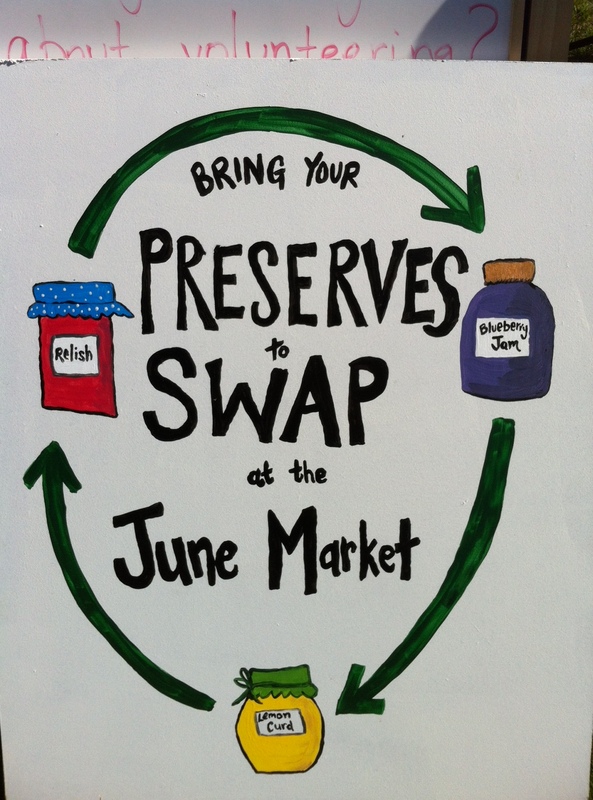 If you’ve got plenty of plum jam or just too much tomato sauce, you’ll be VERY pleased to hear about the Preserve Swap to be held at the next Market on Sunday 2 June. It’s a fantastic opportunity to re-stock your pantry for winter and get rid of that glut of apple chutney at the same time! Pop your jars of preserves on our Preserve Swap table from 9am onwards. Come back at 10:30am (after some leisurely shopping, and perhaps a coffee and morning tea) and swap your jars for something else of your choice, it’s that easy! For the purpose of the swap, the term”preserves” include jams, marmalades, relishes, chutneys, pickles, sauces, preserved fruit and the like. Please note that all preserves for the swap must be home-made and hygienically sealed. Of course, if you’d rather buy your lovely preserves, many of our stallholders sell amazing home-made products, such as beetroot relish, pickled vegetables, locally made berry jams and chutneys as well as an unbelievably delicious mustard, so be sure to pop by and visit them as well! So with two weeks until the next Market, now is the time to get cooking!